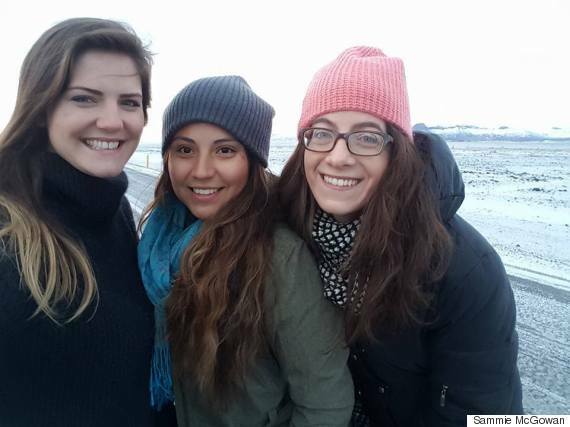 Friends and family members and coworkers and a lot of people in between asked me why I decided to travel to Iceland, in winter, by myself. I had a few reasons prepared, depending on the level of intimacy I had with the person. If an acquaintance asked me, I’d say I hadn’t been out of the country in four years and I loved winter and was looking for somewhere new to explore. If a friend I hadn’t talked to in a while asked that question, I’d say another good friend of mine went on a solo trip the year prior and had an amazing time, so why not? But for those closest to me, I’d say I went because I’d been looking for an escape from my life ever since my grandmother passed away in October of 2014, the year prior to my trip. I felt completely lost, as if I had no idea which direction I was headed, like my courage had been softened by waves of doubt that had overtaken my senses. I needed a way out. Some people could stay in the same place and rebuild their life that way, but for me, I needed to leave the country to rediscover my life and what I stood for. I needed to travel alone, and for some reason the place I needed at that time in my life was Iceland. Yes, in winter. When someone close to you dies suddenly, the world tilts on its axis and while everything externally is the same, internally it’s like living a completely different life. It took a week for the shock to wear off, and it took months for me to get back to a somewhat normal life. When I booked that nine-day trip to Iceland, I knew it was the right thing to do. I threw caution and doubt to the wind and embarked on a journey toward what I had once thought was impossible. I’m honestly very, very glad I did. 1. Spending so much time alone with your thoughts actually gives you space to think hard about your life and the choices you’re making. After my grandmother died, I felt like I was a jigsaw puzzle that had been torn apart, all of the pieces lost forever. This trip was the time to reconstruct myself and evaluate what I wanted to do. While I was waiting to pass through security at the airport, waiting for my flight to touch the ground in Iceland and waiting for what was going to happen next, I found that my thoughts had slowly reorganized themselves into a cohesive collection. I loved that I was alone in a new country with over a week to explore the food, countryside and culture. 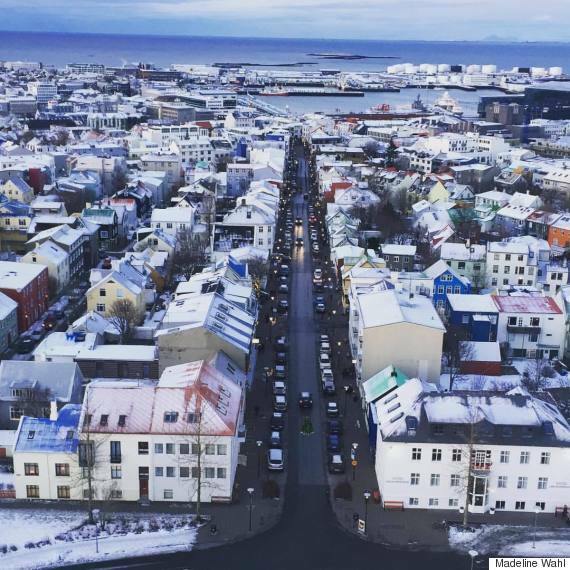 I adored Reykjavik, even though it was 30 degrees colder than the temperature in New York City when I left. I loved the burst of adrenaline, the sheer excitement, the natural curiosity I felt as I figured out how to get to my hostel and plan out the rest of my trip. I realized that I loved my home in New York City, but it was time to see more of the world. I enjoyed meeting new people on my trip, even though I’m an introvert at heart. My passion is writing, and I will forever be writing down my experiences. I learned more about myself by opening up my thoughts and truly looking deep within myself to face my fears. There was nowhere else to hide, thousands of miles away from home. If not now, when? 2. “What you seek is seeking you,” as the legendary Rumi said. 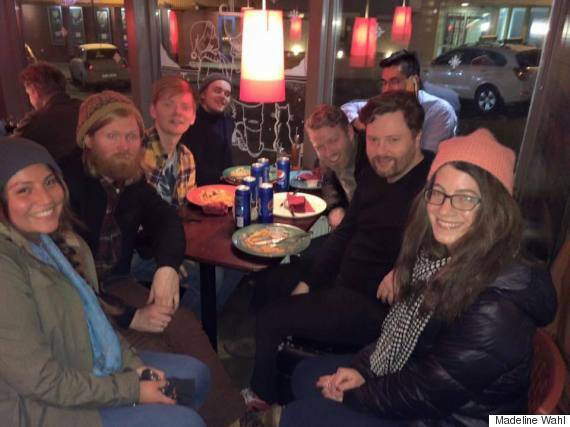 I met these guys on my first day in Iceland, when I went to check in at Kex Hostel a few hours after my flight landed. 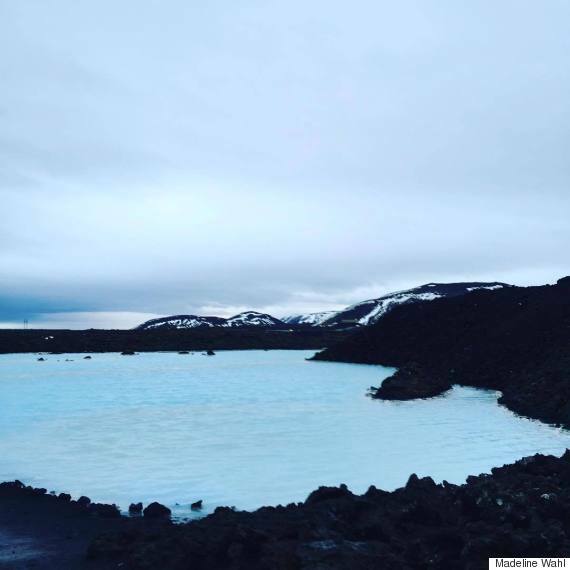 I didn’t know anyone in Iceland and I didn’t know what to expect on my first solo trip. I can’t believe I found such inspiring, creative, warm people at a point in my life when I needed it most. We danced around glaciers in Jökulsárlón, drove around the Golden Circle, climbed up a waterfall at night and talked about everything in our lives. I’ve opened myself up to my friends back home, but I’ve never told so much about the personal details of my life to complete strangers before. 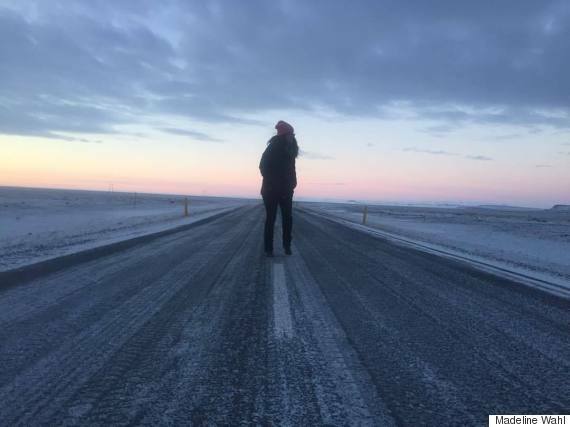 While driving along the southern coast of Iceland, we covered everything from why we travel solo to break-ups to family to where we want to go in our lives and where we see ourselves in the future. We spent four incredible days together, ones I wouldn’t change for the world, and it was all because we found what we were looking for in each other, at that time in our lives. 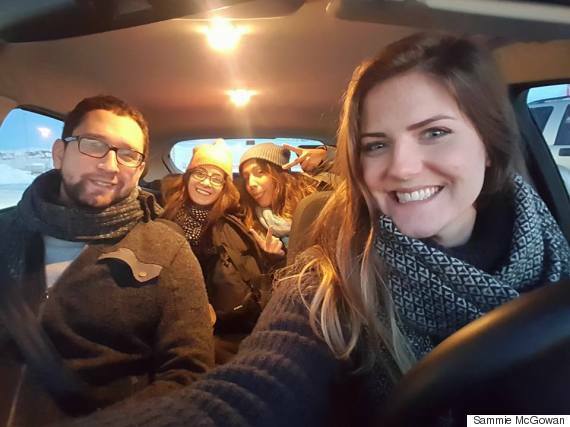 Sara, Nick and Sammie were all from America and have traveled solo previously. 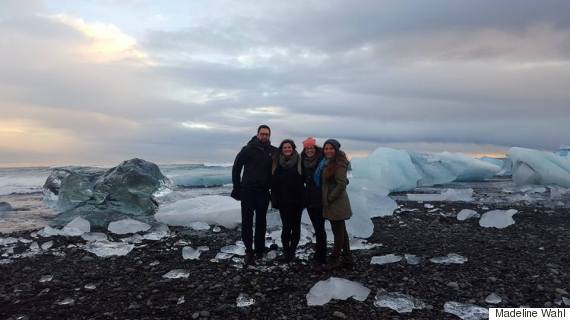 Sara and I didn’t know anyone in Iceland, while Sammie and Nick knew each other back in the States. 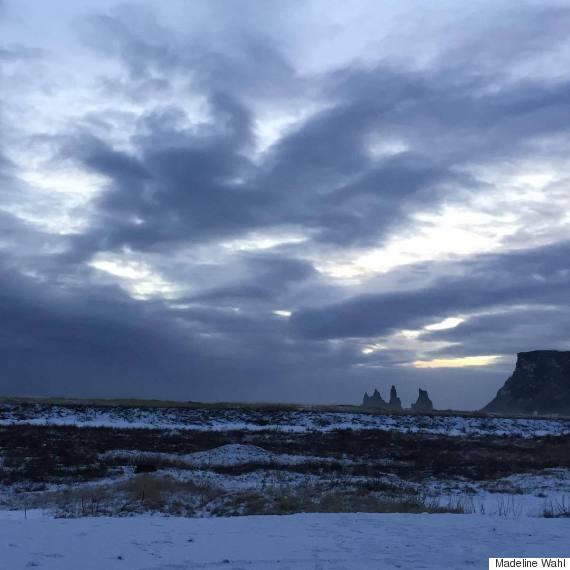 The picture below shows us in the small town of Vik at the black sand beach under the black sky. We saw stars twinkling and stars shooting across the sky and stars in the Milky Way. We were alone on the beach in the cold and we decided to lie down on the black sand and stare up at the night sky while listening to music. 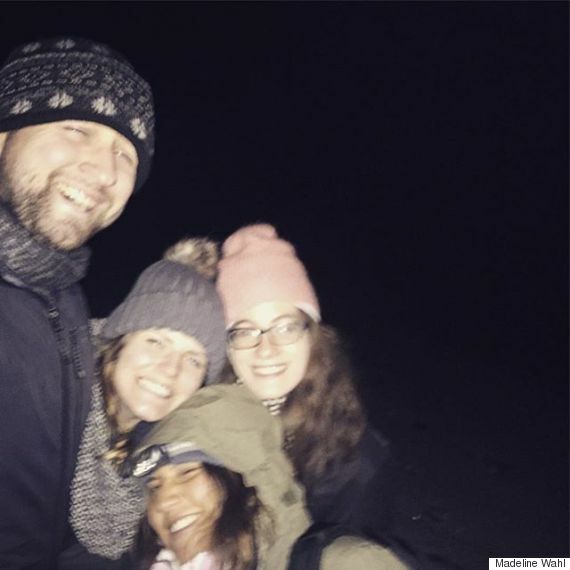 After a while, we stood up and turned around and noticed a light in the sky and we realized what it was — and the Aurora Borealis danced in the sky as we danced on the beach. We got so close so fast, and I know already that we’re all going to be friends for a long time. It’s amazing that you can be in the right place at the right time and watch everything fall into place. 3. Leaving everything behind gives you the freedom to live in the moment. At first, I was worried about how I would access the Internet and catch up with friends and family from back home. How would I know what was going on in their lives? What was happening at work? How would I share photos? I was addicted to my phone, and I was missing out on the landscapes around me. I learned that what happened back home didn’t matter as much as what was going on where I was. I needed to fully appreciate the fact that I was in a foreign country by myself. I’m glad that I only used my phone when there was WiFi around, and I’m thrilled that I was able to breathe in the air and take in the glaciers, the sunrises and sunsets, the buildings and people instead of scrolling through my Facebook and Instagram feeds. 4. Giving up a set schedule and going with the flow gives you the freedom to explore things you never would have expected. When my friend Sara found out that a favorite Icelandic band of hers was performing at a local bar in Keflavik and asked me to go with her the day before we were set to fly back to the States, the only option was to say yes and tag along. So, she rented a car and together we made our way to the place where the Icelandic band — Júníus Meyvant — was performing. We found out that they were having dinner next door, so we surreptitiously ordered dinner at a table near them (it was a small place), then asked if we could take a photo with them. They were so sweet and took a picture with us. Later, they put on an incredible show, and it was truly something to listen to a band talking to the audience in Icelandic yet singing in English. They met up with us afterward and signed some merchandise we had bought, and the lead singer gave us each a hug. Great band, great drinks, great company. 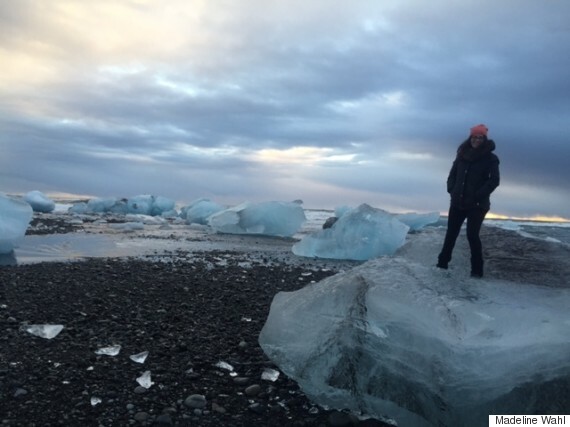 This spur-of-the-moment, adventurous spirit is what I came to love about myself and others while in Iceland. 5. 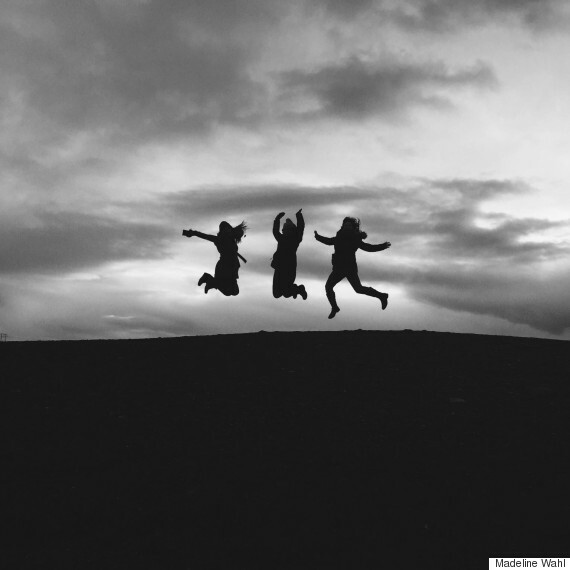 Solo travel is all about taking risks and leaps of faith. 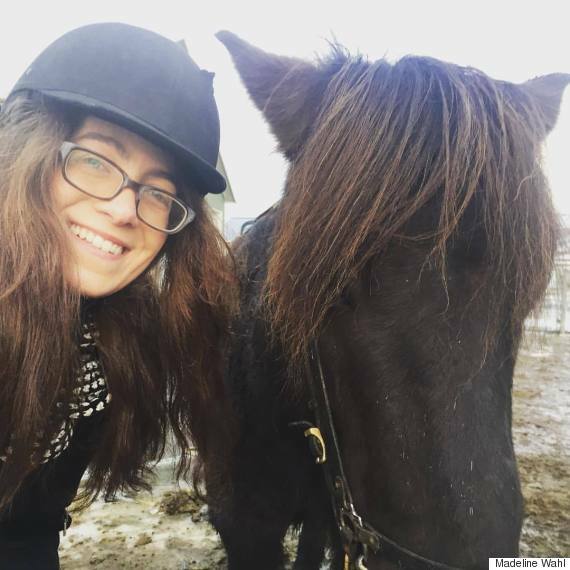 I’d been horseback riding maybe once before in my life, but after Googling Icelandic horses in sweaters and falling in love, I knew I had to take a horseback riding excursion. Not knowing what to expect, my friends and I got on a bus that led us through 7,000-year-old rolling lava into a horse ranch where I was assigned to my horse, Brownie. The whole trek was two hours on ice and snow, and while the horses’ hooves sometimes slid across the ice (and my heart slid out of my chest), we survived in one piece, surrounded by beautiful scenery. On a different night, I climbed up an icy waterfall. While horseback riding and while climbing up the waterfall, I was terrified and kept thinking up worst-case scenarios, but in the end, we were fine. I felt more alive than I ever had before, and the adrenaline and exhilaration were all-consuming — they made taking these risks worth it. 6. Eventually, you learn how to let go of things you can control and things you can’t. I’ve thought about my grandmother every day since she passed away. Some days I’d listen to old voicemail messages on my phone just to hear her voice again, while other times I’d walk by a store and look at a piece of jewelry and think of how much my grandmother would have liked that particular item. Sometimes, while falling asleep in my hostel in Iceland, I’d think back to why I came on this trip and what I wanted to hold onto and let go of. 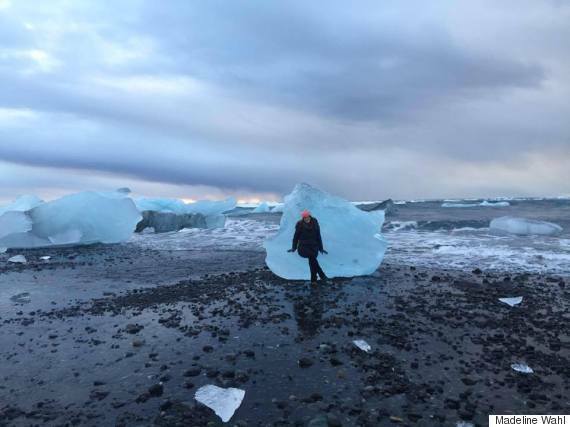 Before Iceland, I over-analyzed everything. I doubted myself and the plans I had. If I entered a writing competition, I highly doubted my chances of winning. If I took a class in college, I wasn’t sure if I would ace it or not. If I booked a solo trip, I thought I would spend most of it alone and miserable. After traveling throughout Iceland and seeing the country and meeting incredible people, all of my worries faded away. I was in a foreign country and I had the time of my life. I knew I could let go of things that were out of my control, of memories that were better served written down, of regrets that shouldn’t have a hold on me anymore. I’ve been living my life to the best of my ability. I was free. 7. There is so much beauty in the world. All you have to do is leave your comfort zone to see it. Walking through Iceland felt like walking through a dream. I’ve never been to a country where sunrise was around 11 a.m. and I’d wake up and experience most of the morning in complete darkness. However, as the sun danced across the sky, it cast this beautiful light across the city and the countryside. From looking at Reykjavik from the top of the central church to stopping along the side of the road to admire the sheer beauty around us, I’ve never felt so completely at home with a place in my life. It was a constant sigh of relief, a sense of relaxation that is only experienced when you step out of your comfort zone into a world beyond your expectations. 8. You are worth it — and even if you can’t see it, other people can see it for you. I love my friends and family back home, but it was incredible to travel to a new country and meet a new group of friends to make new memories with. Whether we were staying up until 6 a.m. watching UFC fights at a bar in downtown Reykjavik or talking about our lives until 3 in the morning or watching movies together, it’s great knowing that I was able to make a community in a new country. Even when I doubted myself, they saw the good and free spirit within me. I just needed some help seeing it for myself. 9. Even when you are by yourself, you are never truly alone. It’s only fitting that the solo portions of my trip happened at the very beginning and the very end. I was alone when I began and I was alone on my last day, yet I didn’t feel so alone anymore. If anything, I came, I saw, I conquered my wildly doubtful, critical, over-analyzing self and just learned to go with the flow — including catching the bus to the airport from the Blue Lagoon with barely 10 minutes to spare. I went back to the States by myself, but I know that I will never be lonely again. I have my thoughts and memories from this trip, which instill a sense of confidence that will be with me forever. I feel whole after this trip, like the puzzle pieces have finally come together to create a new picture that symbolizes this new step in my life. I still miss my grandmother every day, but I know now that traveling solo helped reaffirm, with the right perspective, that life is beautiful. My comfort zone expanded each and every day, and was shaped by who I thought I was and who I wanted to become. I’ve got a long road ahead, but at least I’m on my way. Wishing you well on all of your journeys!